Floss is an essential part of your oral health care routine, along with brushing at least twice a day for at least 3 minutes and visiting Thunderbird Dental Group, your Langley dentist, for your regular oral health care checkup every six months. Dental floss is strong enough that you can use it to hang pictures, and as a bonus, it won’t damage your wall paint. For a natural touch in your home, you can use dental floss to make flower garlands or hang Christmas ornaments. Tie floss in the shape of a bone and offer it to your dog as a chew toy. The floss will help clean their teeth. You can use unwaxed dental floss to tie up meat for cooking if you run out of kitchen tread. The advantage of dental floss is that it can clean in hard-to-reach places, including crevices in your furniture that a simple dusting won’t get. If you have climbing plants, you can give them a little support with dental floss. If your shoelace breaks, you can use dental floss to keep your shoe on and carry on with your day! 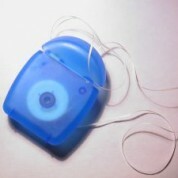 Dental floss is incredibly strong – you can use it to sew a button or fix a tear in your clothing. 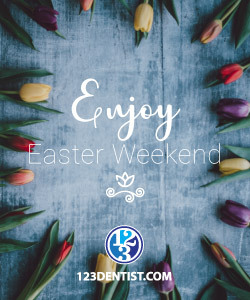 If you’re missing cutlery, you can use a piece of floss to cut into food such as hard-boiled eggs, cheese, cake or jello. If you have 2 photos stuck together in an album, gently slide a piece of floss in between them to separate them without any damage. Want to know more oral health care tips and tricks? Subscribe to the Thunderbird Dental blog!